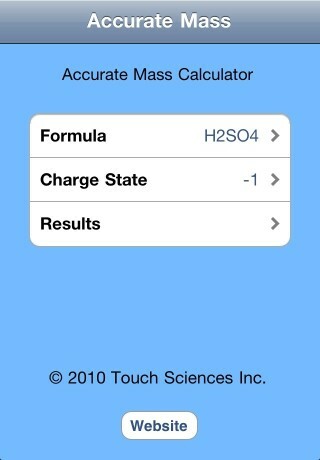 Handy tool for Mass Spectrometry users to calculate the accurate mass and isotope profile from a chemical formula. The application features a custom keyboard that resembles part of the periodic table. Six of the keys are customizable to provide access to additional chemical elements. You can also use brackets in you chemical formula. 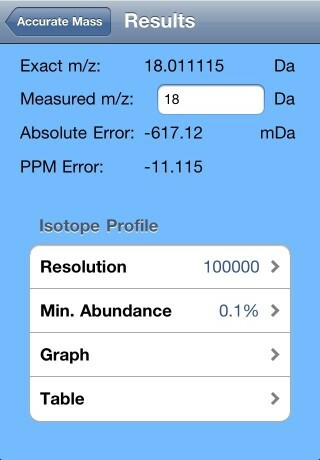 Multiple settings are available for creating the isotope profile. The profile can be presented in graphical and tabular formats. 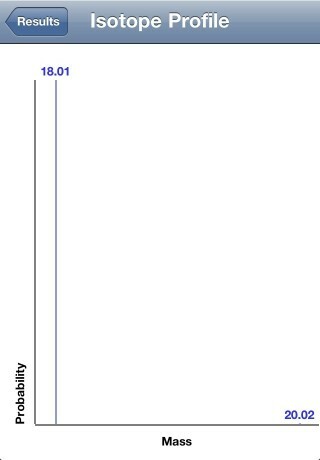 Fixed issues with isotope probability calculation.